So you’ve picked out your diamond or colored gemstone, and you’re absolutely in love with it. You adore each and every facet, and you can probably sit there for hours watching the light filter through, creating a rainbow of brilliance and fire. You can’t wait for it to rest on your left ring finger, and you can just imagine catching a glimpse of sparkle out of the corner of your eye. There’s only one problem: you’re terrified of losing or damaging it. Most women are incredibly active in their daily lives. 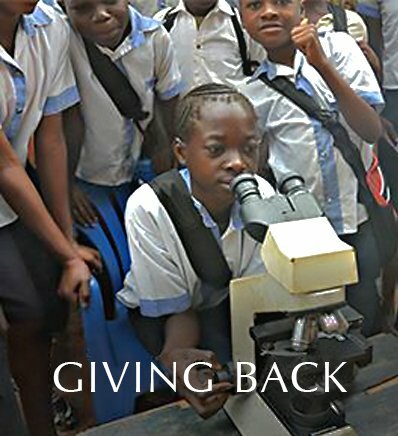 We use our hands all day, every day, from household chores to hands-on careers to working out. (When do we find the time?) Activity levels come in varying degrees, and women who participate in activities such as rock climbing, biking to work, dancing, yard work, etc., will want to take careful consideration when choosing an engagement ring setting. Constantly removing your ring to protect it actually skyrockets the likelihood that you will misplace it! 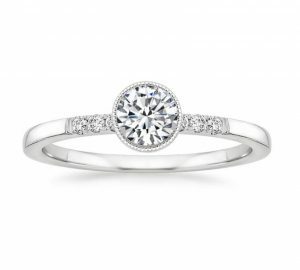 Below we suggest the best engagement rings for active women so that you can own and cherish your diamond for decades to come. 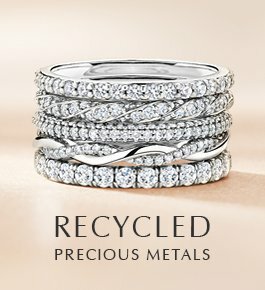 Repeat after me: Bezel-Set Rings! Bezel-set rings are an active woman’s best friend. 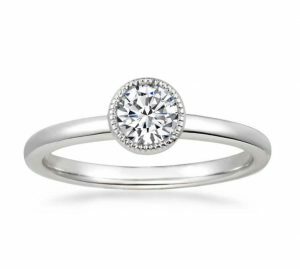 Many love this style for its modern curves and distinctive style, but others seek it out because the bezel setting protects the diamond and keeps it firmly secured. 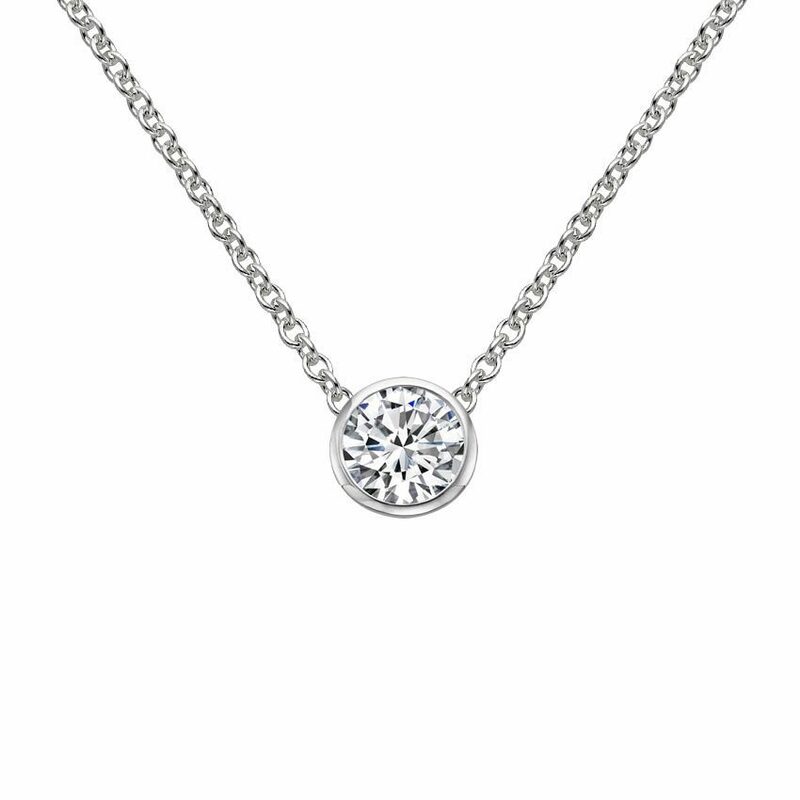 A bezel setting encircles the gem’s girdle (the widest point of the diamond) with a thin band of precious metal. This uninterrupted setting gives this ring its modern appeal and gem security. There are no prongs, so you don’t have to worry about your ring catching in your hair as you speed down a mountain on your bike. (Or in a ball of yarn for those who love to knit or crochet!) A bezel setting also allows you to wear gloves without the prongs getting in the way. Bezel settings work with many diamond shapes, from a classic round to a unique pear. You can also find bezel-set rings that feature milgrained details around the bezel, giving the ring some light-catching vintage flair. 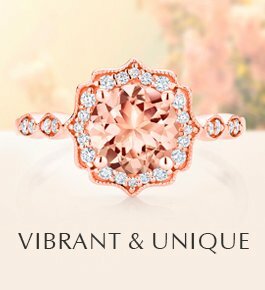 Semi-bezel rings—featuring a bezel that does not completely surround the circumference of the gemstone— are also secure and create gorgeous, flowing styles. 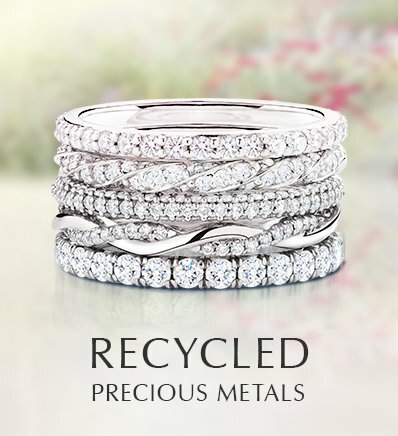 If, as you get older and your activities become more moderate, you want to purchase a ring with a different setting, bezel-set rings look stunning as right-hand rings as well! Participate in extreme or contact sports (such as soccer, snowboarding, or roller derby). Love hobbies that require constant stress on your hands (such as pottery, woodworking, glass blowing, or knitting). Have a job where you constantly use your hands (such as hair stylists, doctors, or police officers). If you are very clumsy (you always seem to be hitting tables, walls, etc. with your hands). 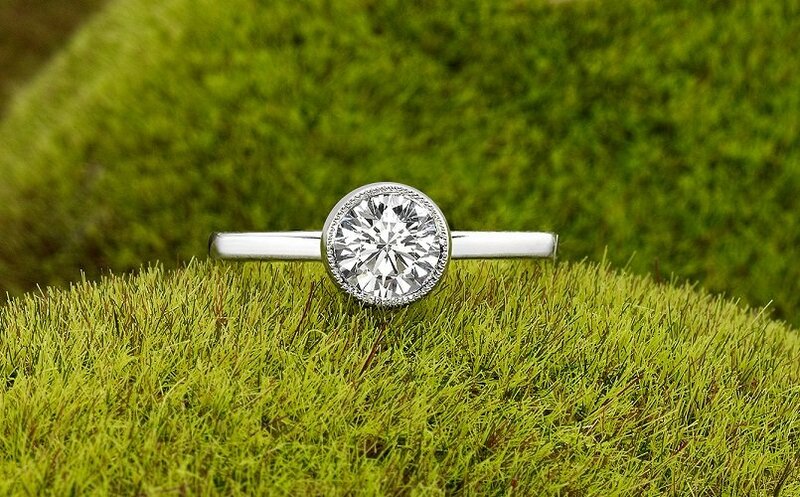 One thing to consider with a bezel-set ring is that you are not able to see as much of the diamond as you can in a prong- or basket-set design. These styles use less precious metal to hold the gemstone in place, meaning that more light filters through the diamond. 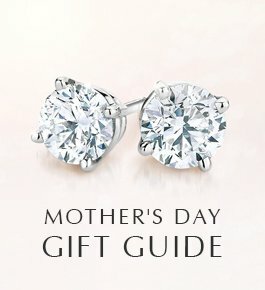 Prong-set diamonds are brilliant, but they are also more suitable for women who only uses their hands for activities such as typing on the computer, hailing a cab, or reading a book. 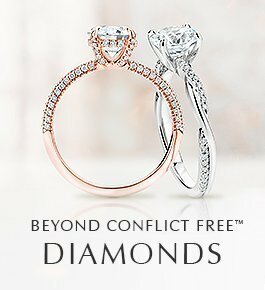 Those with calmer lifestyles are less likely to damage or lose their diamond, so wearing a non-bezel style is less of a risk. Platinum is the strongest and most durable type of precious metal, so we often recommend this precious metal for those with active lifestyles, particularly if you choose a setting with less metal holding the diamond in place. Platinum is truly irresistible! 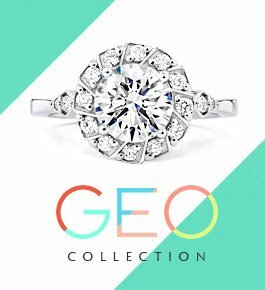 Interested in keeping more than just your engagement ring diamonds exactly where they are? We also offer bezel settings for the rest of your precious diamond jewelry. When you create your own pendant or stud earrings, you can choose a bezel setting in white gold, yellow gold, or platinum. This modern setting is the best for active women—it will keep your diamonds in place while you’re on the move! What setting is right for you? Let us know on Facebook, Instagram, Twitter, or in the comments. Hi Roslyn, we don’t sell any of our settings unless the customer is also purchasing a stone from Brilliant Earth. 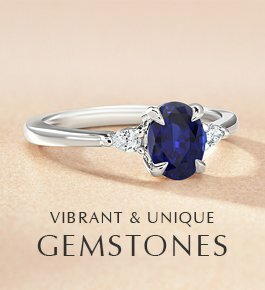 Many of our find jewelry products are made-to-order with each one handcrafted for a center gem with unique characteristics to ensure the quality of the finished piece. For this reason, we do not provide stand-alone settings or semi mounts. Please let us know if we can assist you with selecting a center gem from Brilliant Earth. Thanks for your interest! Where can I purchase a bezel pendant? I already have the diamond. 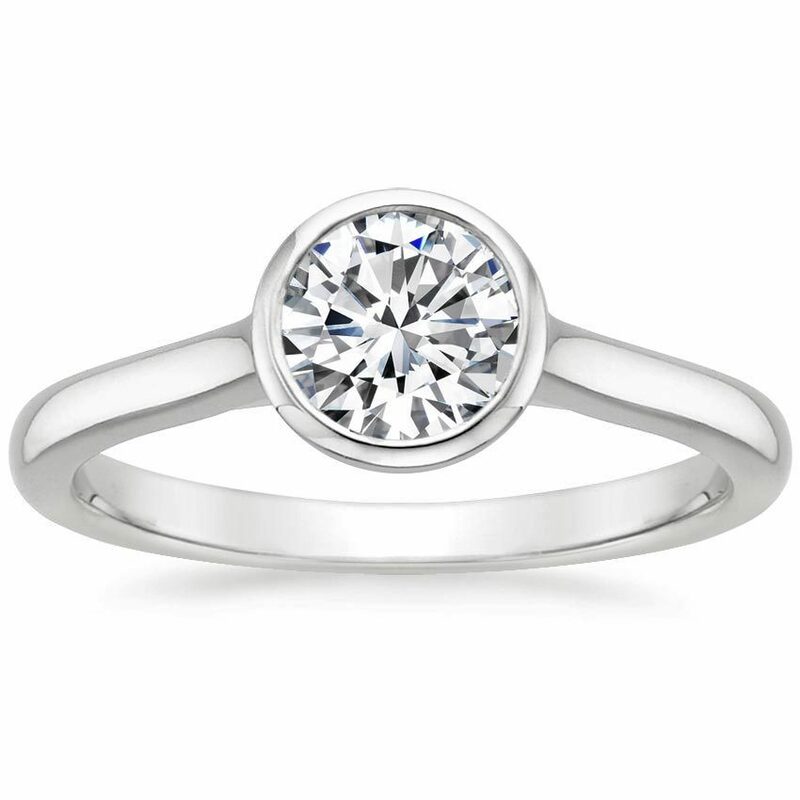 Love the “Luna” bezel set ring, simple, elegant and no prongs! I agree with Amy. As an Outpatient clinician at a private nonprofit, I do quite a bit of outreach to the inner city. Last year I left my rings on the coffee table in the middle of the night after waking with some swollen fingers. Couldn’t remember where I placed them in the morning, but knew they were around. Well, the 110lb dog seems to love all things that rest on my skin, be it my glasses or rings. I was fortunate, he only mangled the engagement ring, and the solitaire was tossed aside. I sometimes wonder if the mutt saved me from getting mugged (happened to 2 of my coworkers within 9 months since mine was put away), I’m now in the market for a bezel set. Though I did love the 6 prongs around my round brilliant! Another reason to have a ring of this nature: Jobs requiring high visibility and personal scrutiny. I have a platinum and diamond pavé set wedding band, which acted as both wedding ring and engagement ring. As a counselor, patients are watching me and staring at my hands and face all day as I write and talk. When I started out as a young professional, I wanted a beautiful ring which would make it obvious that I was married, but not be a distraction from the therapeutic process. I had my ring bezel set after having many accidents with broken prongs and catching my ring on sweaters, coats, etc. I love it! The setting was designed by Whitney Boin and is in platinum. I would never go back to a “traditional” prong setting. I actually had my ring orignally set in a 4 prong white gold setting, then a six prong platinum setting, and nothing worked for me as well as the bezel. collection may not be available for view at each location.